As I began typing this column, NASA's New Horizon mission was on its final approach to its primary target, Pluto. By the time I finished composing my deathless prose, the main mission was over. And I'm not a slow writer. Launched in January 2006, the spacecraft has travelled for nine and a half years for a flyby lasting only 15 minutes or so. It doesn't sound much of a reward for all the effort of designing and building the spacecraft – but for planetary scientists, the data coming back from the mission is pure gold. But what is so exciting about Pluto? It isn't even a planet anymore! When the New Horizons mission was conceived, Pluto stood (or rather, orbited) proudly as the ninth, and newest, planet in the Solar System. 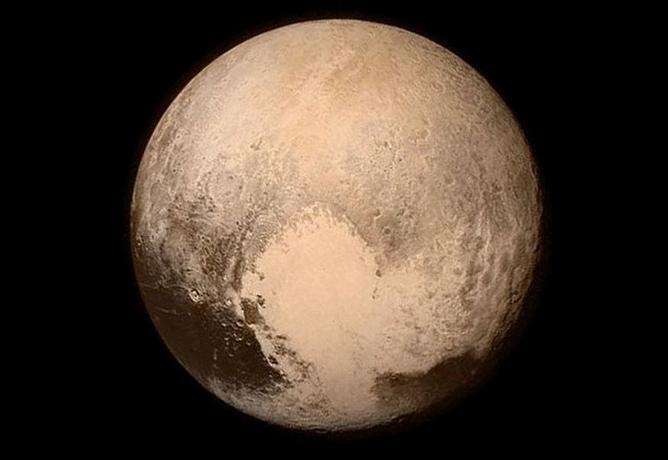 But eight months after New Horizons left Earth on its journey to Pluto, the International Astronomical Union downgraded Pluto from "planet" to "minor planet". Pluto's change in status has, however, definitely not diminished the importance of the mission. Indeed, it has probably enhanced the scientific significance of the findings. Back when we thought Pluto was a planet, it was merely the last member of a series which represented a progression from the inner rocky and metallic bodies such as Mercury, through the gas and ice giants like Jupiter and Neptune, to Pluto – a small body of ice and rock. But we now know that Pluto is not an isolated entity – it is the largest body in a huge family of primitive objects, many of which have their own moons. According to current models of how the solar system formed, there were once several hundred thousands of objects beyond Neptune, but Jupiter's motion scattered most of them much further out from the Sun. We already know that methane and ammonia ices are present on Pluto – but are there any higher hydrocarbons, or biologically interesting compounds such as amino acids? It will be interesting to see how analysis of the surface ices compare with results from the Rosetta mission or from the Dawn mission at Ceres. Can we draw any comparisons with the photo-chemistry on Saturn's giant moon, Titan? Will Pluto demonstrate that trans-Neptunian objects are the most unchanged and unprocessed objects in the Solar System? Previous images of Pluto have been poorly resolved – the best view by the Hubble Space Telescope is of a fuzzy grey blob (see image below). But over the past few weeks, we have been able to enjoy increasingly more detailed images taken by the New Horizons spacecraft on its approach to Pluto. For example, we've learned that the planet is slightly bigger than we thought. We have also seen features on the surface, including what are probably ice-caps. There is no expectation that cryovolcanism or ice geysers will be observed on Pluto, it doesn't have the same gravitational heat source derived from a giant companion such as the case for Jupiter's moon Europa. But it is in a binary system with its almost equally-sized moon, Charon – so it may surprise us yet. For me, one of the highlights of the coming months will be synthesis of three sets of data - from New Horizons on Pluto, Dawn on Ceres and Rosetta-Philae on comet 67P/Churyumov-Gerasimenko. This will give us real insight to comet-asteroid interrelationships, and the primitive material from which the Solar System was built.